When people plan a trip to Croatia, they are under the impression that it is somewhat like Italy. The two countries both stretch along the rocky beaches right across the Adriatic Sea from one another. However, Croatia is a place unlike any other, proud of its long history and traditions, filled with grand palaces, walled cities, and postcard-perfect coastal villages. It is a young country still sorting out its identity in some ways, but in other ways, a longstanding distinctive local culture endures. And of course, the Game of Thrones Tour! The general vibe in Croatia is much Slavic as the Mediterranean. The dreamiest old city in Croatia is Dubrovnik, in the middle of the Dalmatian Coast. Known as the Pearl of the Adriatic, it’s a place that is medieval, mythical and occasionally, magical. The walled-off Old City, parts of which date from the 11th century, is surprisingly intact, especially given the fact that it was a major trading center and one of the wealthiest cities in southern Europe and therefore fought over. Its Slavic people managed to fend off the Venetians and other empire builders in order to remain an independent city-state. An800-year-old Gothic church and Europe’s oldest pharmacy are some of the landmarks inside the 16th-century walls. If it weren’t for the thousands of people who come to see it all, you would feel like you are traveling back in time. Although Croatia has existed as Croatia for only 25 years, its people are very proud of their homeland. They are quick to tell you they are giving you the best: the best wine, the best seafood, and the best olive oil. Their passion may explain why some 2 million tourists descend on Dubrovnik each year. The is undoubtedly helped along by the popularity of Game of Thrones, much of which is filmed in Dubrovnik and surrounding areas. 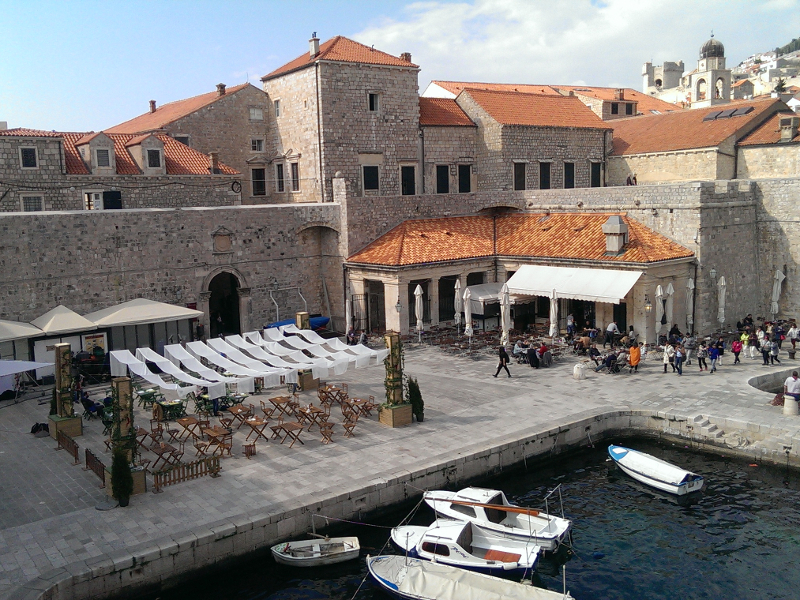 Game of Thrones tourism is its own industry but Croatia welcomes it with open arms. If you want to take to the sea, the Elephiti Islands are a short ride away and they are home to spectacular swimming caves, cool beach clubs, and chilled-out lunch spots. The Adriatic is one of the best places in the world for island hopping, no matter which side of it you are on. When you visit Croatia, make it one of your top priorities to do. You will never experience anything quite like island hopping on the Adriatic. All in all, Croatia is a wonderful, underrated place and if you have the chance to get to Europe, it should be at the top of your travel list. You can visit Italy and then carve out a few extra days (or a week) to explore Croatia and all of the lovely things that it has to offer. While you are here, be sure to Tour the Game of Thrones because you will see things not only from the television show, but you will experience history at the same time. Talk about a personal experience and fantastic service while in Kingslanding!!!!!! My husband and I were there last September and we had the pleasure of meeting Tonka, what a sweet lady, she was so professional meeting us right on time outside our location. So informative not only about the history of Dubrovnik but also her own experience as an extra on GOT. Our little trip to Lokrum Island was the perfect ending to the tour, had a blast with Tonka. Looking forward to returning to Old Town just based on this experience. If you are looking for a personalized top service GOT tour, book NOW!!!! !